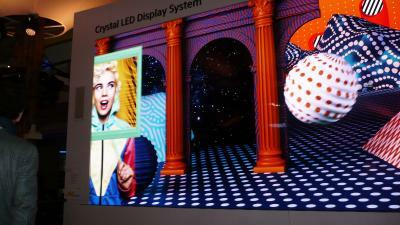 Sony first introduced its Micro-LED displays in 2012, with a 55" Full-HD Display. In 2016 it introduced its first large-area tiled Micro-LED which it called Crystal-LED integrated display, or CLEDIS. CLEDIS displays are made from 320 x 360 ZRD1 modules (403 x 453 mm in size). These are bulky modules, each 10Kg in weight and 100 mm thick. The tiled displays are completely seamless. "the large CLEDIS took around 50 hours to build" means the time to transfer million micro-LEDs or just to assemble several modules or including both ? 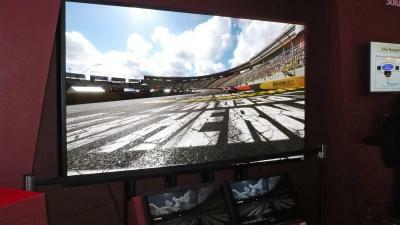 In my opinion, 50 hours seem to be very short to transfer micro-LEDs for 8K-2K display, which is a kind of break-through. Can you explain more detail for that? I believe they refer to the time it took to build the display from the modules, not to produce these modules.